It’s Parasite Season! Protect your Pets and Yourself! Spring and summer have arrived which means the start of tick and flea season and the diseases they spread to people and pets including Lyme disease, analplasma, babesia, and ehrlichia. A new report from the Centers for Disease Control and Prevention has found that illnesses from tick and flea bites more than tripled in the United States from 2004 to 2016. These parasites, despite more awareness and better preventative options for our dogs and cats, have been gaining ground, spreading disease, and, for fleas, making our pet’s lives miserable with itching. Below is a list of the common ticks found in the US including the diseases they transmit. Remember, ticks can transmit most of the same diseases to people as they transmit to your pets. Please ensure that you stay protected. We strongly recommend quality flea/tick preventatives for your pets. There are many different types of ticks, but the one we need to be most careful to avoid is the blacklegged or deer tick, Ixodes scapularis (or Ixodes pacificus on the west coast) because it transmits Lyme disease, often difficult to diagnose and treat, and a number of other infections. Deer ticks are most commonly confused with dog ticks, according to Dr. Tom Mather, director of URI’s Center for Vector-Borne Disease and its TickEncounter Resource Center, with about 5% of their submissions being the dog tick. It’s an important distinction, as dog ticks, Dermacentor variabilis, are much less risky, and their bites do not transmit Lyme. Here are some clues to help you tell the ticks apart. For more illustrations comparing the ticks, see TickEncounters.org. While they use this information for epidemiologic study, they will also rapidly respond with an identification of your assailant and an estimate as to how long the tick was likely feeding on you or your pet. This will also decide whether you need to bring your pet in for a check or for you to seek medical testing for tickborne diseases. Deer ticks, or black legged ticks, Ixodes, are tiny, only about the size of a poppy seed or the period at the end of this sentence, when in the early larval stage. As they begin to feed and engorge, they become the size of a sesame seed, then a bit larger. The females have a prominent red back half and sides. These ticks prefer shaded, leafy areas like forest, though are found wherever there are deer and white-footed mice. About 25% of deer tick in the Northeast carry the bacteria, Borrelia, which causes Lyme. About 300,000 people get Lyme each year in the U.S., most in the Northeast or upper Midwest. Dog ticks, Dermacentor, are mostly found in open, grassy or shrubby areas, and are much larger. These ticks, being larger, are easier to find on you or your pet. They have notable white markings on their back. The dog ticks can transmit Rocky Mountain Spotted Fever on occasion or rarely, tularemia (aka rabbit fever). While there has been an uptick in cases over the past decade, “spotted” fevers affect fewer, with 60% of all cases occurring in North Carolina, Tennessee, Oklahoma, Arkansas, and Missouri, though Illinois, Kentucky, Mississippi, Nebraska, and Virginia also have increased risk. The Lone Star tick has been coming increasingly to attention as it spreads and as new diseases are associated with it. The females have a prominent white dot on their backs. These ticks are widely distributed throughout the Southeast and Eastern U.S., as well as the lower Midwest states. Southern tick-associated rash illness (STARI) causes a rash similar to that of Lyme, but is not caused by Borrelia burgdorferii, the bacteria which causes Lyme. In fact, scientists haven’t identified the culprit. It hasn’t been shown to cause the more serious types of illnesses Lyme does, such as arthritis or neurologic symptoms. The Lone Star tick also transmits Ehrlichiosis, Heartland virus, and Tularemia. What ticks transmit what diseases? Note: This table is not comprehensive, but lists the major infections. Others include more recent discoveries of Borrelia species, Colorado tick fever, Heartland, Powassan, and Bourbon viruses. Coinfections are much more controversial. On the one hand, the LymeDisease.org researchers have done surveys in 3000+ people with “chronic Lyme” complaints (though that is an ill-defined entity) that indicate that coinfections are common. They claim 32% of patients with “chronic Lyme” are coinfected with Babesia, 28% with Bartonella, and 15% with mycoplasma, for example. It’s easy to dismiss fleas. Unlike ticks, which are famous for causing Lyme disease in dogs and people, fleas don’t seem all that threatening. Mostly, we see the tiny bloodsuckers as a nuisance for pets and for us, not a serious threat to anyone’s health. However, fleas can transmit a surprising number of diseases to animals and humans. 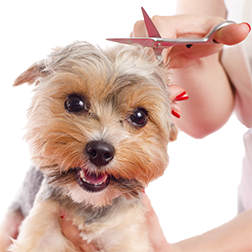 Fleas can cause serious harm to you and your pet’s health through their bites and when they are ingested (such as when self-grooming) by the animals they target. Mycoplasma haemofelis (M. haemofelis) is a parasitic bacterial disease that is transmitted to cats through flea bites, as well as tick and mosquito bites. An infection of the red blood cells, M. haemofelis can cause fever and anemia in cats, Herold says. There is also some evidence that M. haemofelis can infect humans, especially those with compromised immune systems. Because fleas are equal opportunity feeders, an infected flea can transmit the parasite to both you and your pet. M. haemofelis attaches to the infected cat’s red blood cells, which leads to the body’s immune system treating the red blood cells as foreign, marking them for destruction. This destruction of large numbers of red blood cells frequently leads to anemia, Herold says. Veterinarians often prescribe antibiotics to treat the affected animals. In severe cases, cats may require a blood transfusion followed by antibiotics. “Some cats need steroid medications to prevent the immune system from attacking its own red blood cells,” Herold says. Treatment can take four to six weeks. One of the most loathsome parasites, tapeworms make themselves at home in the intestines of dogs, cats, and humans. Pets can get tapeworms by swallowing infected adult fleas, which can occur when animals groom themselves or other animals. Cats can also get the disease by eating infected mice, Herold says. While extremely uncommon in adults, children may get infected by accidentally swallowing an infected flea, which they can encounter while playing outdoors, according to the Centers for Disease Control and Prevention (CDC). Children and pets pass segments of tapeworms, known as proglottids, during bowel movements. Treating tapeworms in pets and humans is easy. For both species, a drug called praziquantel is given either orally or, for pets only, by injection, according to the CDC. The medication causes the tapeworm to dissolve within the intestine. This disease is interesting. Bartonella henselae (B. henselae), the bacteria that causes cat scratch fever, is fairly common in felines. According to the CDC, about 40 percent of cats, especially kittens, have the bug at some point in their lives. Some cats develop serious symptoms. The CDC recommends taking your cat to the veterinarian if it is vomiting, seems lethargic, has red eyes, swollen lymph nodes, or a decreased appetite. Many cats never get sick and those that do typically have a fever for two or three days and then recover completely. So your cat may seem perfectly healthy, but can still make you sick. “A human might get cat scratch fever even if the cat doesn’t present symptoms,” Herold says. Cats pass the disease on to humans by biting or scratching a person hard enough to break the skin, or by licking on or near wounds or scabs, the CDC says. In an unusual case covered by several media outlets last year, Janese Walters of Toledo, Ohio, woke one morning to blindness in one eye. After a month of tests, doctors couldn’t determine what caused the blindness—until the woman told them about her cat. They were then able to trace the infection to the B. henselae bacteria and concluded she had cat scratch disease, and that she had lost her sight in one eye after her cat licked her eye. In rare cases of human infection, the disease can affect the brain, eyes, heart, or other internal organs, though these complications are more likely to occur in children under the age of five and in people with compromised or weakened immune systems, the CDC says. Effective flea control treatment can make your pet’s life more comfortable and protect you, your animal, and the rest of your family. While many safe and reliable products are on the market, selecting the right treatment depends on your pets and your lifestyle, Herold says. Many pet parents prefer to use topical products to keep fleas off their animals, says Herold, who uses a spot-on flea product on her dog. But products that require monthly application may be inconvenient to use for some pet owners. Appealing to families that dislike monthly treatments, marketers behind a new line of flea and tick collars for dogs and cats claim the collars provide eight months of protection from parasites. The collars use a technology that releases the active flea-killing ingredients in controlled doses over an extended period of time. 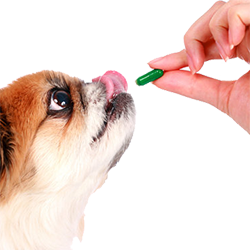 Oral medication is another option for pets and their owners. Families with cats and dogs must be extra careful not to mix up the medicine. Products containing permethrin for dogs can be poisonous to cats, Herold says. As Herold points out, removing fleas from your pet’s body is just the beginning. Since fleas spend much of their life off your pet, just treating your furry friend will not make the problem go away, the American Veterinary Medical Association (AVMA) notes. Your pet can become re-infested when fleas that are breeding in your home become adults and latch on to your animal. The AVMA recommends thoroughly cleaning your pet’s sleeping area and vacuuming the floors and furniture that your animal frequents. Cleaning and vacuuming these areas will help remove and kill fleas in all stages of life, the AVMA says. “If you can repeatedly get rid of eggs in carpeting, you then have to get rid of the vacuum bag… that must leave your house,” Herold says. Getting rid of fleas in your home can be a time-consuming hassle, so patience and persistence are key to success.